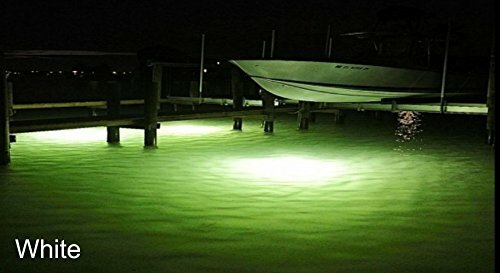 Sea View LED SP50 – 50 Watt Underwater LED Fish Attracting Dock Light. White/Green/Blue. Proudly Made in America! 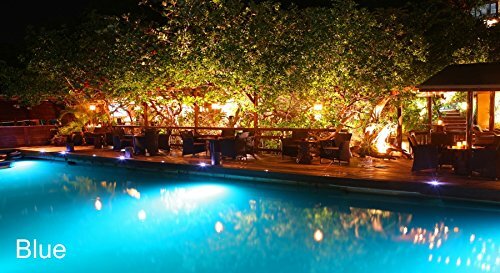 Sea View LED SP50 - 50 Watt Underwater LED Fish Attracting Dock Light. White/Green/Blue. Proudly Made in America! What You Benefit From Sea View LED! 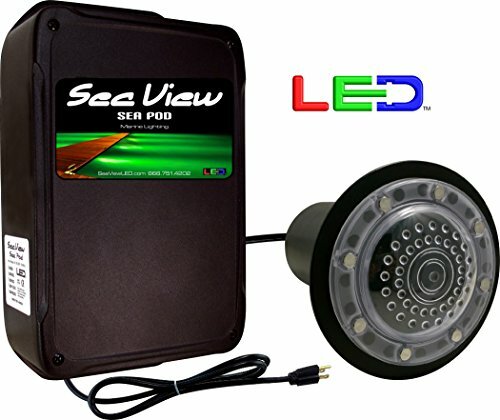 • The Sea View Sea Pod is the only LED underwater light available without cable length limits and allows up to six of the same or different powered lamps within one control box. • That’s right, you can choose 20, 50 and/or 100-watt lamps in one system. Mix or match lamp power output and/or color configurations. • Purchase a single lamp system and add more lamps anytime you want more light. • The Sea Pod’s compact size, high output, and low operating cost make this system an appealing option for a variety of applications. 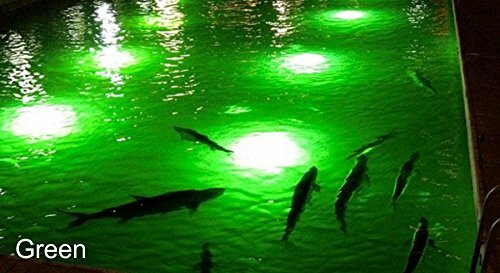 Example: Place one or more lamps off your seawall and another lamp in a nearby water feature, all from the same control box, and without cable distance limits. • A standard vertical beam installation uses a supplied weight that attaches to the lamp cable and allows adjustability for various water depths and secures the lamps placement. When a horizontal beam for a flood light effect is desired, an optional lamp bracket is available for mounting the lamp to a floating dock or piling. 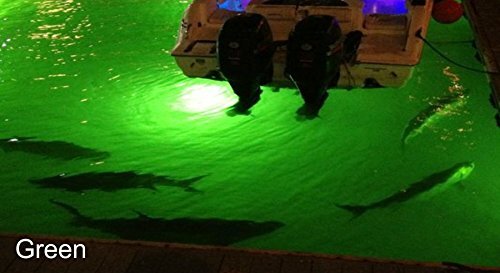 • We offer green, white and blue underwater LED dock lights. • The system operation is controlled by a day/night sensor. Beam: up to 180 deg. Lamp dimensions: 5″ x 6″ approx. Power control box: 5″ x 7″ approx. Warranty: FISHNLIGHT.com provides a one year warranty to the original buyer from the date of purchase on all parts and labor. Operate up to 6 lights from one control box. Buy one now, add up to five more lights later! Seawater treatment included to reduce or eliminate marine growth. Everything included for easy DIY install in minutes without getting wet.